Mechanically designed, the Volufill filler is a reliable machine that has proved itself over many years. It is flexible and guarantees easy maintenance and respect of the products to be filled. Hema Volufill is available in Stand Alone or Monobloc configuration with a capper or a thermosealer. Hema Volufill can be also associated with a neck trimmer or a rinser. A simple principle: the volume in the cylinder is defined through the suction movement of the piston, before being discharged to the container. The valves and nozzles are specifically designed to products and containers shape to ensure perfect filling and cleanliness. Choice of 2 types of valves: Cylindrical for semi-liquid products and Conical for fluid products. 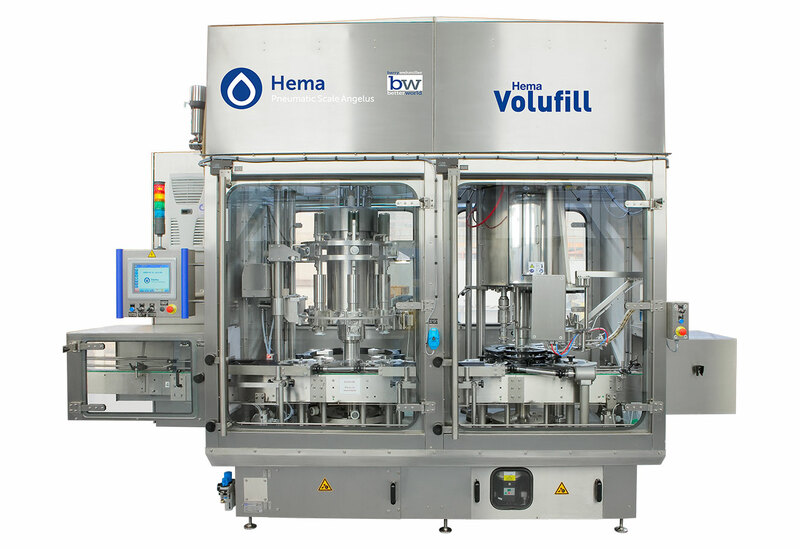 The Hema Volufill filler can be used for a wide variety of hot and cold products. Depending on the nature of your product, bottom filling is offered for optimal quality and cleanliness of the filling process. Recipes can be changed directly from the control panel. Hema guarantees its customers a standard deviation of < 0.8 g for a homogenous product in a 500 ml container and a standard deviation of < 1.5 g for a product with pieces in a 500 ml container. The coloured changeover tools specific to each bottle format are available on the filling and capping turrets. They make tool identification easy. Without the need for special tools, the rapid fixing and indexing systems make it easy for the operator to set up. This means that the time taken for a changeover is optimised. We can design and build complete lines to include upstream and downstream equipment. Any faulty, badly-filled or capped container is ejected from the production line. The press forms caps from a roll of aluminium. They are subsequently thermo-sealed on the container (conduction or induction). The automatic dismantling of pistons and conical valves allows automatic cleaning of the filler. A manifold of valves manages the cleaning of the product circuit, cabin and frame. The cleaning station allows preparation, feeding and automatic recirculation of cleaning fluids. Allows rinsing and disinfection of the filler cabinet. 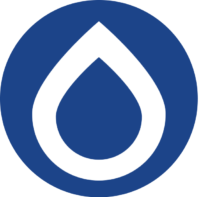 A storage tank and pump can be connected to the recovery gutter, so that the fluids can be sent back to the cleaning station during the cleaning cycles.